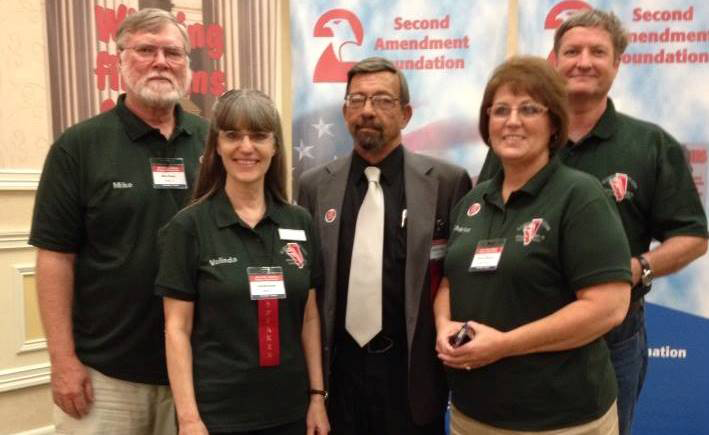 Do you want to look cool like Massad Ayoob in the IllinoisCarry Training video? After several requests, IllinoisCarry has made arrangements to produce our polos like Massad wore in our training video. Adding your first name on the right breast of the shirt will cost another $6. This may be a one time offering so order while you can!! Cool. I'll be ordering soon. Can the video be purchased on its own? Nice. I'll be ordering soon. Is there any minimum order (Total) needed for this to happen? I can be cool like the Mossad? Watch it, there's a big difference between Israeli intelligence and the Mass. A picture of the actual polo would be nice. We're wearing them in the photo. Can we put first or last name on the shirt, or both? Sorry, just one name. Can be first or last. Dang it, for me, that's a tough one. Me, too. Would be nice to wear for teaching the CLIC class. Massad isn't very tall, is he? Exactly, where is there a training video? The video that come with CLIC when you purchase it. Everyone should get one and add their screen name. Might make for some interesting meet-ups. A and this year you can wear your IC polo! Maybe get an IC kilt made? Lol. Ever wear a 5.11 tactical kilt? I vote use your last name!